This year Arlico are delighted to be taking part in Clerkenwell Design Week in conjunction with Sven Christiansen; who manufacture high quality office furniture, seating and workplace solutions. This year’s design week is exceptionally meaningful for both companies, as it coincides with the launch of their new London lighting and furniture showroom in the heart of Clerkenwell. 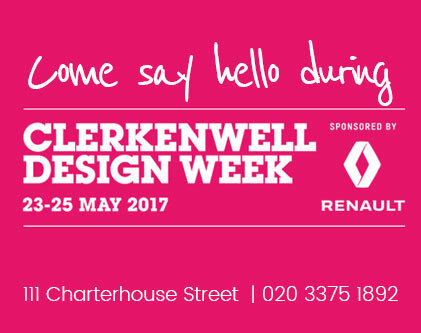 If you are considering visiting Clerkenwell Design Week, below is some helpful information about the event. CDW, Short for Clerkenwell Design Week is a showcase of leading UK and international brands and companies presented in a series of showroom events, exhibitions and special installations that take place across the area. Now in its eighth year the award winning Clerkenwell design week event has become one of the must be events for architects, designers and creative people alike. CDW provides a world class of leading UK and international designers and brands across a range of showrooms, exhibitions, live talks, workshops and installations; so, it is the ideal place to celebrate creativity and passion. Why Clerkenwell for the event? Clerkenwell is home to more creative businesses and architects per square mile than anywhere else on the planet, making it truly one of the most important design hubs in the world – a perfect platform for such a design fuelled event. Clerkenwell also offers a myriad of globally renowned restaurants, eateries and some of the City’s best loved pubs. So it’s not only is it a haven for all foodies out there, it is hub of all and anything fashion and design related. Therefore making it the ideal and hip place to be for all those inspiring designers out there! When is Clerkenwell Design Week? This years event will be taking place on the 23rd May to the 25th May 2017. What’s on at Clerkenwell Design Week? Perhaps the most exciting element of CDW is the showrooms which provide the festival with an array of product launches, workshops, talks and parties which are held in some of the country’s most inspiring commercial spaces. This year we can expect an exclusive show room from Sven Christiansen, in conjunction with Arlico, who will be able to assist all those who may have been tasked with the creating a new stimulating but relaxing working environment. Why should I visit Clerkenwell Design Week? We’ve all been there, where we’ve hit a fork in the road and we’re experiencing a lack of creativity. It can be frustrating to anyone who is a creative individual who find themselves doing the same thing day in day out. At CDW you will find yourself mingling with people who are just like you, naturally you will be bouncing ideas and concepts off each other. How to find Clerkenwell Design Week? Clerkenwell Design Week takes place in various venues around Clerkenwell. On the map below you will be able to see our location (Sven Studios, 111 Charterhouse Street).